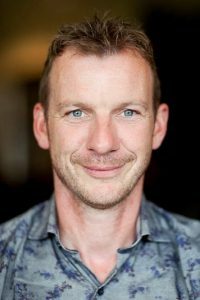 Professor Bert Steenbergen is a full professor at the Behavioural Science Institute of the Radboud University, Nijmegen, The Netherlands. The focus of his work is on “perception and action problems’, including the relationship between fundamental research in disorders of motor control and its application in the field of rehabilitation and education for individuals with visual and motor impairments. Professor Steenbergen is a highly regarded international expert in the areas of motor control, disorders of motor control, cerebral palsy and rehabilitation. Over the past 15 years, Professor Steenbergen has been awarded over €5 million Euro in research funding and published over 120 international refereed journal articles. After graduating in Human Movement Sciences (honours) at the Free University, Amsterdam, Professor Steenbergen worked as a researcher at the Werkenrode Insitute for disabled children (Groesbeek, The Netherlands). He obtained his PhD in the social sciences in 2000 at the Radboud University on the topic of adapted movement behavior following brain damage. Professor Steenbergen then worked as an assistant professor at the Donders Centre for Cognition. In 2009 he was appointed full professor at the Behavioural Science Insitute, The Netherlands, where he is the head of the ‘Learning and Plasticity’ program. In conjunction with his research, Professor Steenbergen is a lecturer at the Department of special education and coordinator of several courses from bachelor to the PhD level. Prof Steenbergen is also a professorial fellow of the Australia Catholic University, Melbourne and member of the leadership group of the Centre for Development and Disability research at this university.